First Lady and Psalmist Geneva DeVaughn is a woman after God’s own heart and has dedicated all of her knowledge, skills, and abilities to God’s ministry. Coupled with her B.A. Degree in Management and many years of corporate work experience in the oil industry, are also years of experience in church ministry, community outreach, and foreign missions. 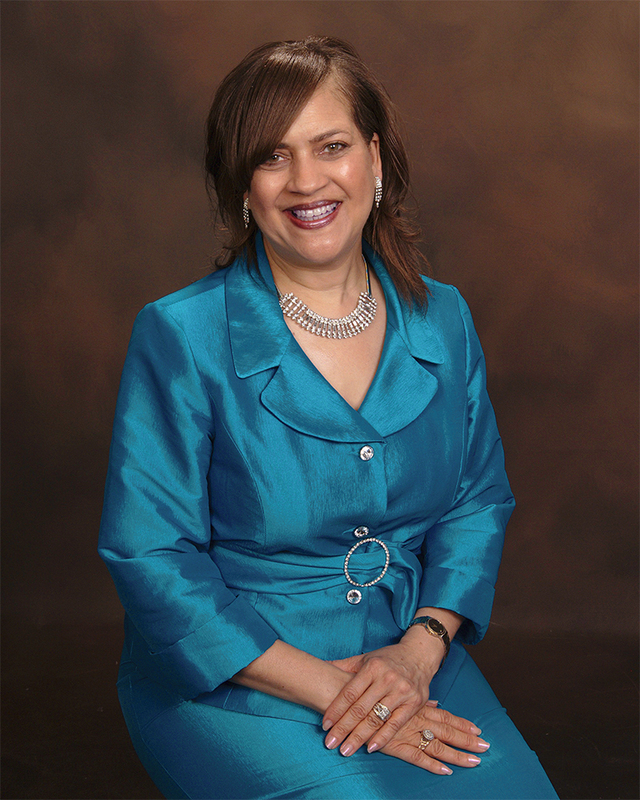 She also holds a Doctorate Degree in Christian Leadership, and has been honored over the years by various sororities for her contribution of service to the community. She is also currently the Spiritual Life Coordinator at the Star of Hope’s Transitional Living Center, which serves thousands of homeless men, women, and children each year. Her passion is teaching the Word of God, along with singing to encourage those with no hope to seek the hope that we have in Christ. Her work at the Star of Hope has been a great fulfillment in her life. At Silverlake Church, she currently serves as Director of the Women’s Ministry. She is also a choir member, and an Intercessory Prayer Warrior. She has been the wife of Pastor DeVaughn now for over 35 years and counts it as a triple blessing to have been chosen by God to be the mother of their three beautiful children, Krystal, Reginald II, and Jonathan.